Tokyo RPG Factory's next game is incoming! Square Enix announced today a release date for Lost Sphear. The game is a follow-up title to I Am Setsuna, coming from Square Enix' classic JRPG studio, Tokyo RPG Factory. Lost Sphear is launching on PlayStation 4 and Nintendo Switch on January 23, 2018. "Lost Sphear is a turn-based JPRG set in a world threatened by a mysterious phenomenon known as Lost. To combat the Lost, the power of Memory awakens within a young man named Kanata, giving hope to the people. As it is too dangerous for Kanata alone, his friends accompany him from his town of Elgarthe: Lumina, Locke and a mysterious person named Van," wrote Square Enix associate product manager Sam Hsieh on the PlayStation blog. The post offer further details on the game's main cast, including the priestess Sherra and the elemental mage Obaro. It also outlines the Vulcosuit, armored suits that allow players to traverse certain environments and offer improved combat capabilities. 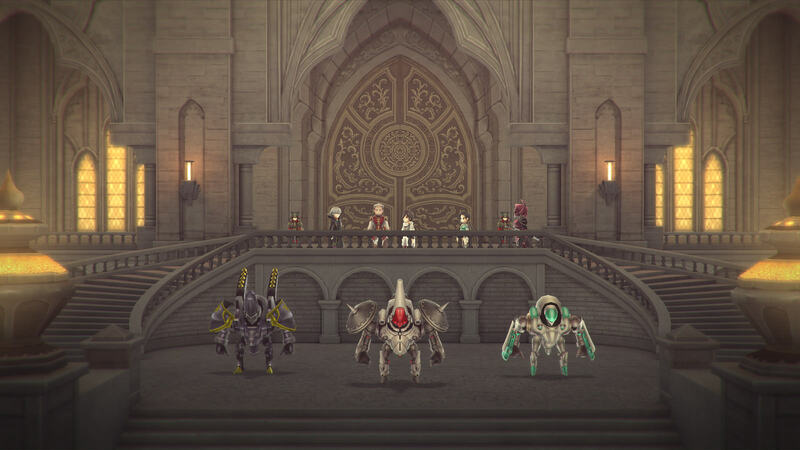 It's not to Xenogears level, but it does differentiate Lost Sphear from its predecessor. "The Vulcosuit is mechanized armor gifted to the people from the ancients within the world of Lost Sphear," wrote Hsieh. "Each piece of armor has its own unique capabilities, so make sure to search for all of them!" Folks who pre-order the digital version of Lost Sphear on PlayStation 4 will receive a special Dynamic Theme and two music tracks for the game on launch day. There is no word on Switch pre-order offers. Tagged with News,	Nintendo Switch,	PlayStation 4,	Role Playing Games,	Square Enix,	Tokyo RPG Factory. Tokyo RPG Factory deserves another shot at its craft, but first it needs to pick up the ball(s) I Am Setsuna dropped.